Welcome to our new site on building your own camper van or RV conversion. The site has details on many van conversions and other efficient camping solutions, a large section with design/build information on all of the areas involved in doing a conversion (layout, floors/walls, galley, insulation, plumbing, electrical, windows, beds, toilets, …), a resources section with all sorts of references that can be helpful doing a conversion, and lots more. If you’ve done a camper van or other conversion yourself and you would be up for providing some pictures and description for this site, please let me know. If you have any ideas for material that should be covered, please let me know. My Norcold 751 fridge is freezing everything and will not shut off unless I disconnect it. Have you heard of this issue? Thanks. I assume you have turned the control to a warmer setting? I’ve not heard of anyone having that problem. Maybe the controller is stuck in the on position? Sounds like a call to Norcold is in order. Looking very seriously at a Ram 136 high top. Any commentary about 1500 vs 2500? It will be a diy conversion that is very simple. Propex furnace, simple water with 7 gallon jerry cans, minimal solar, whynter fridge. I’m assuming this will be pretty light, maybe lighter than yours (not saying better, you clearly are very skilled). Are you still really satisfied with the Promaster? I don’t think you need the 2500 for what you have in mind. My all up weight with tanks full and people onboard is 6700 lb and the allowable gross weight is 8550 lb — so, lots of margin. There is actually very little difference between the 1500 and 2500 (except for the price :). This has been discussed on the PM forum quite a bit, and some think the two are essentially identical. I have a huge challenge…I have a rear ac/heat unit in my van that I would like to run off of my house batteries rather than have the engine running. 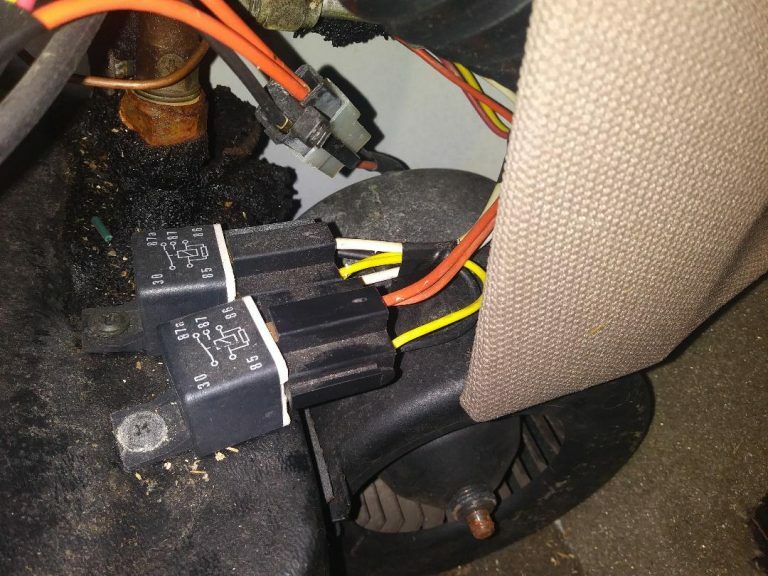 The unit has its own heating element, but not sure if the ac would run properly without the vehicle running (compressor runs off serpentine belt). I have pics attached of the wiring harnesses. I found some 12V DC thermostats that will relay a heat setting and a cool setting, but would need to find which wires I need to splice and integrate so that when the heat or cool kicks on, all the proper relays are switched on. Can you help? Don’t think I know enough to help with this. Seems like if the AC compressor is driven off the engine belt that its not going to cool unless the engine is running? Obviously, the electrically powered cabin AC is a separate unit and the refrigerant is not shared with the underhood AC compressor. I hate generators, but it seems like an incredible amount of work to run an AC for a bit over 3 hours. I’d like to see how some of the 5000 to 6000 BTU window AC conversions for Van conversions work out. Maybe its better to concentrate on really good insulation and window plugs along with a max efficiency window AC to accomplish battery powered AC without so much complication and expense as the FitRV solution? Maybe combined with only air conditioning a portion of the van? Agreed. I have a 5000 BTU window unit in a “pretty well” insulated ex moving van with 1000 watts of solar on the roof. So far I only have two 100Ah batteries connected for testing. Unfortunately, I don’t have much to report yet, and summer is gone. 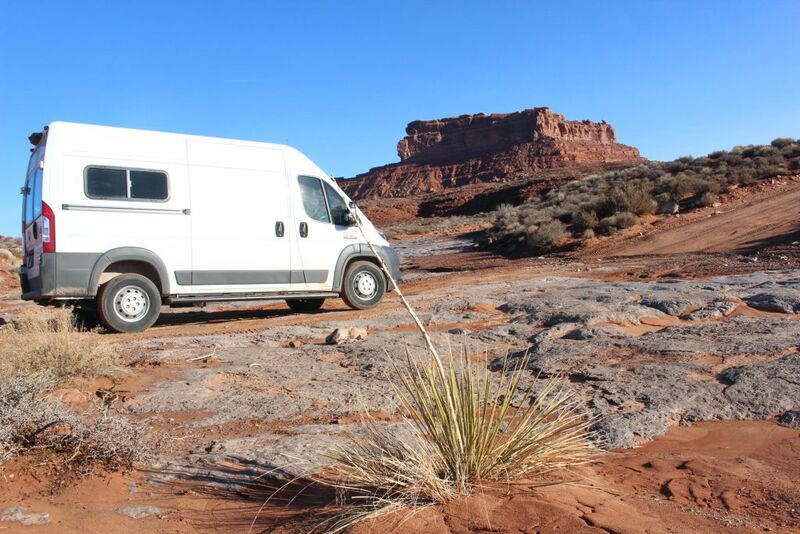 The Inergy Kodiak “solar generator” is the latest thing for van builds. It incorporates solar panels, inverter, solar charge controller, battery, battery management, overcurrent protection, etc. ALL into one lightweight box. Additional lead acid batteries can be daisychained (without limit) to add amp-hours. This recent innovation makes all-electric RVs easier than ever. 5. No water heater because the cooktop heats water so fast. 6. 600-1200 watts of solar because of the large rooftop of a box van. No propane or annoying absorption fridge. The heating system is not yet specified. Please direct me to the best spot on the site to kick this around. In the Design & Build section, there are pages on Electrical and on Heating that might be good to start a discussion. There is a system by Yeti that is similar to the Inergy Kodiak. I kind of like them from a simplicity point of view and also like the fact that you can pull them out of the RV and use them for backup home power during outages. Costco has them for $1K, but liikely a bit small for what you want to do. One criticism of the Yeti is its relatively slow charge rate when charging from the van alternator — but, depends on your usage habits on whether this is a problem. To keep with the all electric scheme, you might think about an electric mattress pad heater for heating. Might be the only practical way to heat with electricity given the high energy cost of heating the whole van. Agree that the old propane absorbtion systems don’t make sense anymore. We used a 12 volt fridge with the Danfoss compressor — good efficiency, but fairly expensive. Very useful website and excellent data/research! I’m in the middle of my 4 season (desert and skiing) Transit camper van conversion. I am putting 3/8 inch minicell foam (2LB Cross Linked Polyethylene Sheet) in between the floor’s metal ridges. Above that I was thinking of putting the factory vinyl (rubber like) mat, without the shoddy insulation material that is sculpted to fit between the ridges. I could leave the shoddy, but I was concerned about moisture retention and the varying thickness of this material. Above the vinyl I am considering just putting plywood (.5 or .75 inch). Above that, possibly recycled tire carpet or vinyl flooring in the living space, but not under the bed platform where there will be bike and ski storage, solar/house electrical gear, and outdoor stuff. I think the carpet would add insulation to living space, but not the vinyl flooring of course. Question: Would I benefit a lot from a layer of polyiso board (.5 or 1.0 inch) below the plywood? I would add at least half inch polyiso into the floor stackup. Some people think that there is not much heat loss through the floor, but its nearly as important to insulate the floor as the ceiling or walls. You have high temps inside and low temps outside and this makes for a lot of heat loss if not insulated. I think that you could use half inch plywood for the floor instead of 3/4 inch (I used only 1/4 inch plywood on my floor and its been fine), so adding half inch polyiso would only add a net 1/4 inch — well worth it in my opinion. Half inch polyiso would cut the floor loss to less than half what it would without it. I’d consider adding 3/4 inch polyiso if you can. Its not so critical for a van to be used in moderate summer conditions only, but for a four season van that will be used in cold weather and maybe hot weather the insulation really pays its way. Another question rather than a comment or suggestion(!) sorry, I am just embarking on a camper conversion here in the UK based upon a Peugeot Boxer which is basically the same van as yours (Fiat Ducato/Citoen Relay chassis). I was wondering how your floor has held up? Before finding your site I had decided that the best way to insulate a van floor would be to avoid battening and thereby avoiding creating cold bridging points. I was intending to follow the same idea as yourself – ply floor over rigid board insulation, although I will be using a thicker ply to screw my furniture to. What I am worried about is degeneration of the insulation board through foot traffic, compression and vibration from the road. In the UK PIR board is quite fragile, you can pick it apart with your fingernail and snap it easily with your hands. Before committing to using this I want to be confident that the board will not break down necessitating a complete rebuild! Kingspan make a product that is designed for floor use called Styrofoam, actually resistant enough to compression to be used under concrete screeds in industrial applications, but I cannot find any info anywhere about the competence of such products in applications prone to vibration. King span only comment that it is unintended use! The floor is fine so far. I don’t see any signs that the polyiso is not holding up, and I’ve not heard from others who have used the same scheme having problems. I did look up the bearing allowable for the polyiso, and concluded it would be OK, but you may not be dealing with the same material. The thicker plywood you would be using would spread the foot traffic loads over a wider area, so that would help. I suppose you could get a sheet of the insulation board you can get and just do some testing with it — put it on the floor and lay a piece of half inch plywood over it and walk/jump on it a hundred times or so. For the Polyiso we get here, the foam core can be picked apart with some effort with a fingernail. It would be hard to break in your hand as long as the two alum foil face sheets were intact — you can break it by slamming it down over your knee. Normally I don’t like using styrofoam for van insulation as is max service temperature is something like 160F, and the van skin can get hotter than this, but this is probably not an issue for floors. Hello Gary-I have been thinking about doing a build for a promaster, but I have been worried about reliability/build quality. Have you had any serious reliability issues and do you feel the build quality is similar to a Ford Transit for example? I’ve not had any serious problems with the PM. We had squeaky brakes for some time until they came out with a fix, buts that’s the only thing. There were a couple recalls (nothing serious) that the dealer took care of. I’ve yet to pay for anything other than oil changes. I don’t have any experience with the Transit, so can’t really say. But, both the PM (as the Ducato) and the Transit have been popular in Europe for quite a while, so its not like buying a totally new design. There were changes made for the US version, but its a lot the same as the European version. People tend to have very strong opinions on which brand is best, but I’ve not seen any way to do a good reliability comparison based on real data myself. My dealer has been great, but I think that FCA has been a bit slow to address some of the issues — that said, I’ve not had great luck with Ford on earlier vans either. Looking for an awning for my 2012 Nissan 2500 camper conversion. Any ideas? Thanks. I don’t know of any, but don’t know that much about awnings. You have probably checked with Fiamma? Your original site provided a lot of great information and gave me the incentive to do it myself. I am converting a 2015 promaster window van , BUT, isn’t there always a but, I am curious as to how you fed the wires from the van battery to the house batteries. I have placed my batteries on the passenger side above the rear axle. My house battery is on the drivers side a few ft aft of the driver seat. I ran the wires from the van battery under the driver seat and then over to the side of the van, and then inside the wall back to the house battery. Part of the run (under the seat area) is enclosed in plastic conduit for protection. Not what route would be best for a house battery on the passenger side, but I’m sure you can work something out — maybe use conduit for protection as needed. That is a pretty long wire run, so be sure to pick a large enough gage to avoid having a lot of voltage drop. There is a voltage drop table link in the References part of my site. I have been reading your site on installing a 5 gallon propane tank in a contained, vented location. A question is about turning the tank off. I would like to do this installation, but turn the tank off each time it is done being used. This looks difficult with the four wing nuts to hold the lid down. Do you turn the tank off after each use? It is a bit of a pain on mine to actually turn off the valve on the propane tank — you have to undo the 4 wing nuts, lift the top, and close the valve. About the only time we have had to do this was for ferry crossing, but if you wanted to do it after each use you would have to have a smoother way. Maybe add an additional shutoff valve in the line just outside the sealed compartment? Not quite as good as turning the tank valve off, but it does shut down most of the system plumbing and applicances. Please let us know what you end up doing. I have a 2015 chevy 1500 express van i’m turning into a weekend camper van. My question is concerning solar power. I’m a little nervous installing the system, What would you say is the difficulty level of installing a 200 watt system? I’d say if you are installing the rest of the electrical system, the solar part is no more difficult. You will need the pv panel(s) and a charge controller that is correct for the pv panels. rennolgy makes some solar kits that would allow you to make sure the charge controller is compatible with the pv panels. Amazon has some of these kits. I was wondering if you could recommend how I can find someone to help me do a van conversion. I am a 48-year-old woman who simply never learned the skills required to do it myself. I am planning to start living full time in my van in August and I am in the process of buying the van right now (step or cargo). I just don’t have a clue where to look for someone to assist with the work that will need to be done to convert it. Any ideas where and what I should look for? I don’t have a list of converters, but there are quite a few. Steve was able to save a lot on his conversion because Moorehead was willing to be flexible on how fancy they made it and on not going overboard on features. Steve has something like 15K miles on his trip from the south US up to Alaska and back — so, a pretty well proven approach. Sportsmobile is a good site to look at — they do a lot of conversions and will do the conversion on your van. I think most areas have a few places that will do this kind of work — some of them just individuals who do conversions. This may be a good option, but I’d be very careful about getting a quality conversion. Having an agreed on timeline is also important as conversions can take a long time. Please report back on what you decide on and how it works out.